The Apache trout, also known as the Arizona trout, is designated as Arizona's state fish. Compared to rainbow trout, I think the Apache has more spots. To me, it has an exotic look. Its golden-yellow coloring with white on the tips of its fins give it a unique color appearance for a trout, and it has a very interesting eye. A freshwater fish, the Apache trout has a pronounced black pupil with a black band extending from both sides of that pupil. It almost looks like a mask in the center of the eye. In 1873, the U.S. Geographical Survey discovered and collected specimens of the fish. It was incorrectly classified as a Colorado River cutthroat trout. In the nineteenth century, Apache trout reproduced vigorously and large numbers inhabited the streams and lakes of the White Mountains. 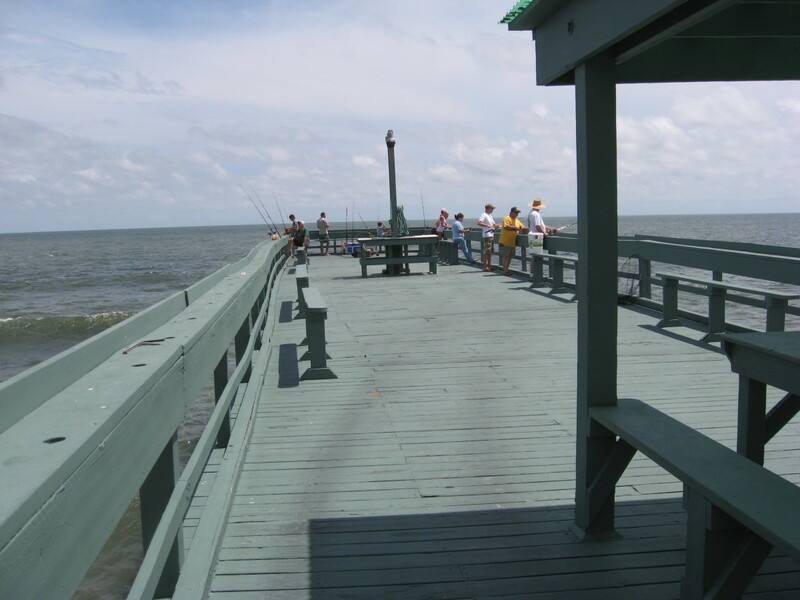 At the end of the nineteenth century, early settlers overfished the area. In the beginning of the twentieth century government agencies decided to introduce non-native trout. This was thought to be an alleviation of the detrimental effects of overfishing. But the non-native species were able to out compete the Apache trout for food. This endangered the native Apache trout even more. If you want to fish Arizona, the area designated by the map above should be enjoyed. Especially of interest to avid anglers, located here is an excerpt from the web page of the Arizona Game and Fish Department at http://www.azgfd.gov/ It is hard to beat this listing on method of fishing! 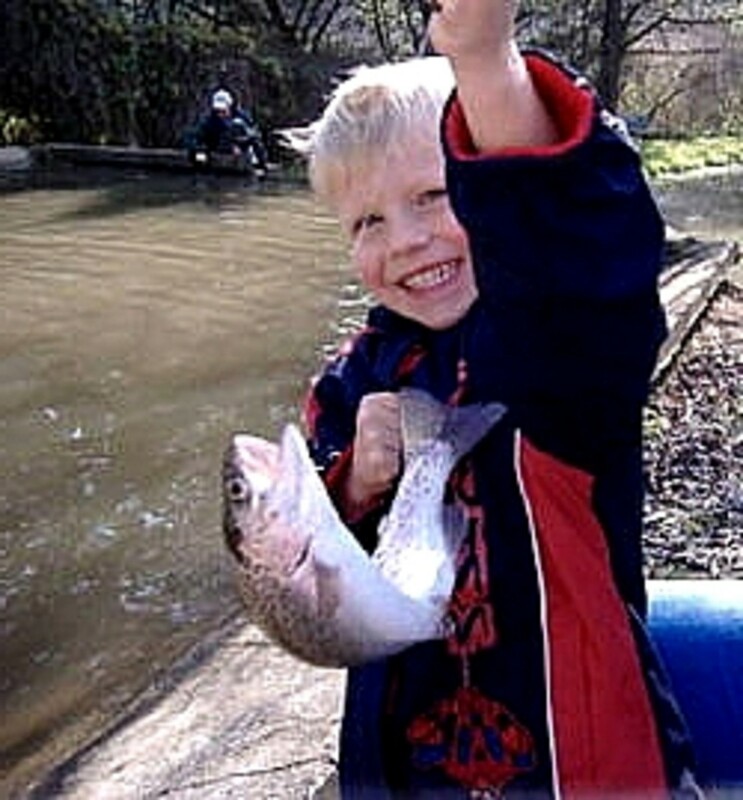 As with angling for any trout, bringing them in is a sporty experience. 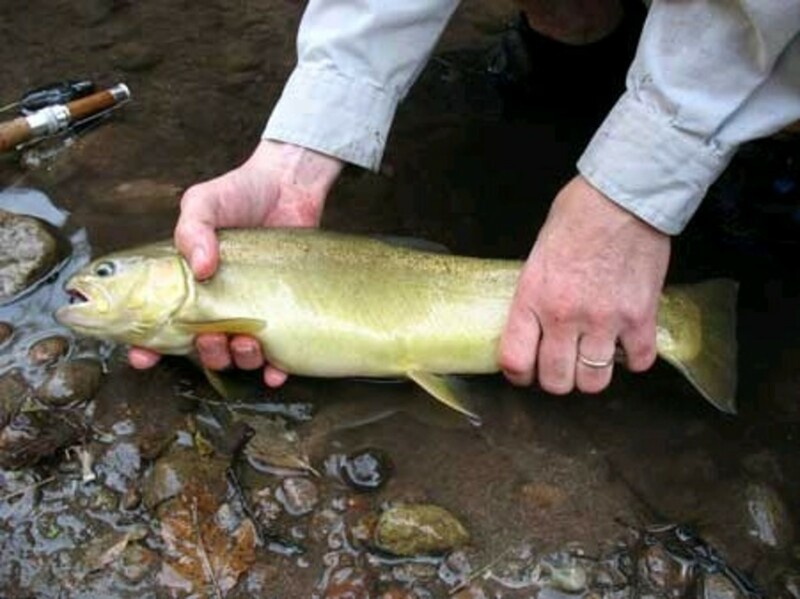 In addition to flipping and flopping on the surface as they are reeled in, the Apache trout shows off a golden belly and a yellow-gold coloring on its sides. 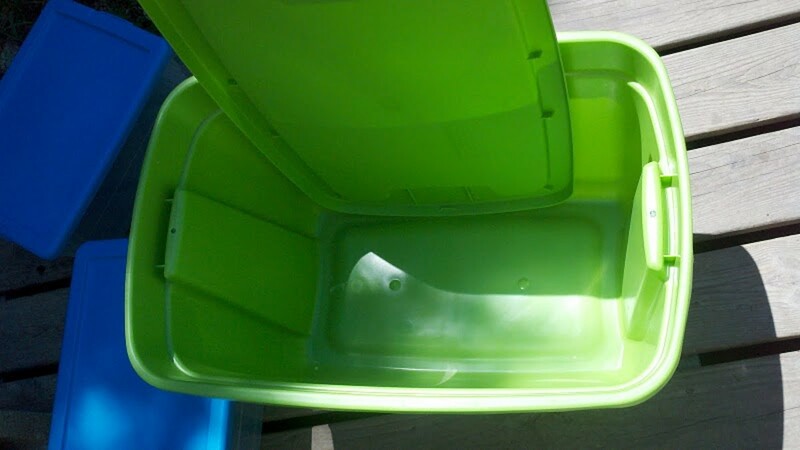 The back is dark green in color. It has many black spots on its sides, tail fin, and dorsal fin. Just about everyone knows that Arizona is one big scenic state! But if you are an angler, it is a place rich with Ponderosa Pine and fishing lakes. 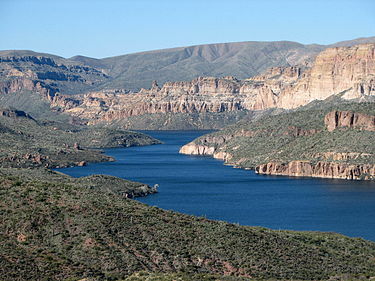 In this area near McNary, Arizona there is: Christmas Tree Lake, Cyclone Lake, Hawley Lake, Earl Park Lake, Sunrise Lake, Rainbow Lake, Show Low Lake, and A-1 Lake. It is a land of great biodiversity.There is no shortage of things to see in Arizona! One of only two species of trout native to Arizona (the other is the Gila trout), the Apache trout is a unique part of the Eastern Arizona ecosystem. This Arizona fish species is getting some help. Thanks to the efforts of Arizona fish and game authorities and the Fort Apache Indian Reservation, the future is brighter for the Apache trout. Full recovery is now a possibility. In 1969, the Apache trout found itself on the list of endangered species. Attempts were made to modify the gravel stream beds such that the Apache trout would be isolated allowing them to come back. Areas where genetically pure Apache trout still lived were protected. 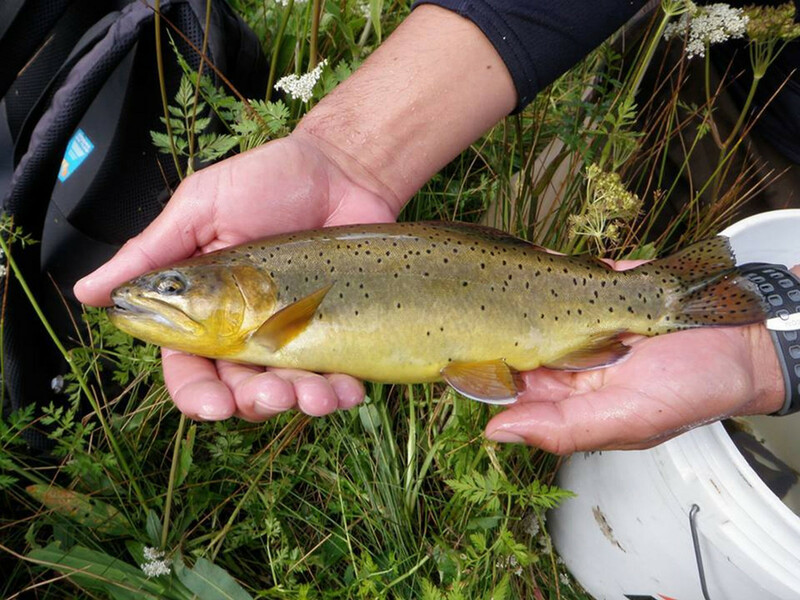 This species of trout is still listed as threatened, but its populations continue to increase. While upstream native habitats are preserved, many lakes and streams that were not Apache trout's ancestral homes have had the fish introduced. In an attempt to enrich sport-fishing in Arizona, many fisheries are rearing this kind of trout from eggs. When stocked in colder waters, the Apache trout adds to the variety of angling experience present in Arizona. In the literature, the word "hybridization" is frequently used. This means that the Apache trout can easily breed with other species of trout such as rainbows and browns. In this instance, an Apache/rainbow hybrid occurs. This is the biggest threat to the Apache trout populations. Efforts to keep its original habitats uncontaminated are ensuring the continued viability of Apache trout. The Williams Creek National Fish Hatchery maintains a pure breeding stock. There is a similarity between the Apache trout and the geography of Arizona. Whereas the trout live in a geographic transition zone, they themselves have transitioned over time. Once plentiful, the trout was fished to near transition in the 19th century. The few genetically pure fish were gathered carefully and planted in isolation from other trout populations. To this day, the state of Arizona works hard to increase their numbers and preserve their habitat. The northern part of Arizona is higher in elevation and is called the Colorado Plateau. For 200 miles, the southern border of the plateau runs diagonally from east of Kingman, Arizona to roughly Silver City, New Mexico. South of the plateau is known as the transition zone and is about 60 miles wide. Its moderate terrain begins roughly at Black Canyon City north of Phoenix, AZ. Within the mountains of the transition zone lie the stocks of Apache trout. Most of these places are rather isolated. 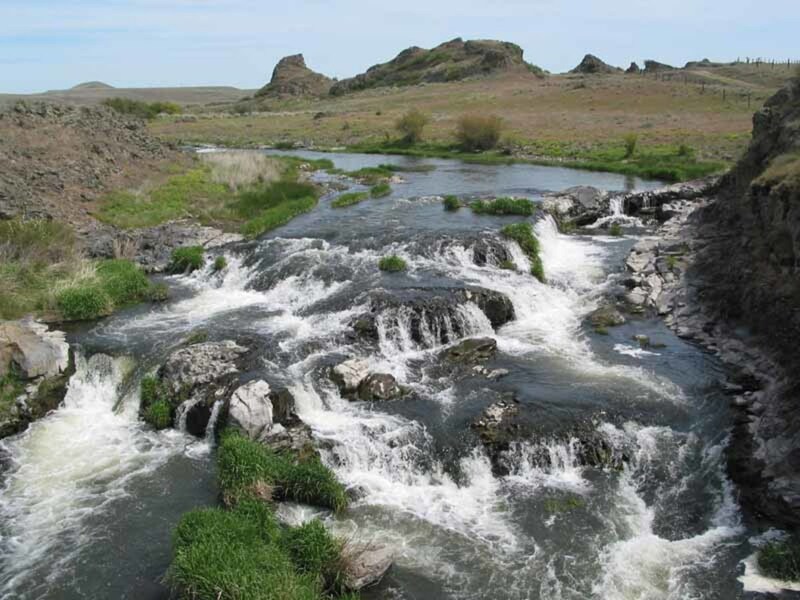 The area has an extensive hiking trail system that provides an avenue to the trout if one is willing to expend energy. 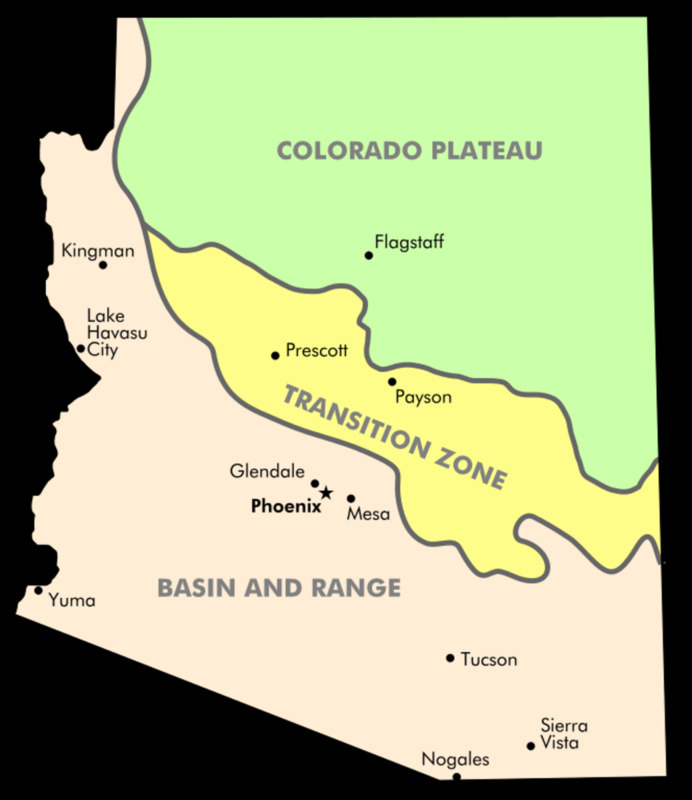 The portion of the state south of the transition zone is referred to as the Basin and Range area. It is lower in altitude and much drier. Its prominent feature is desert. Many of the native places of the Apache trout are on the White Mountain Apache Reservation in the transition zone. 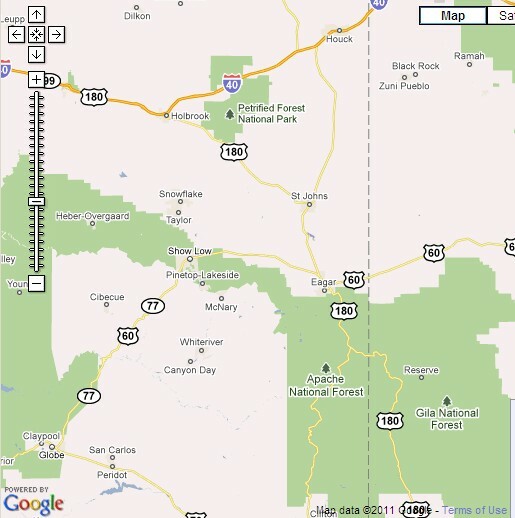 The rest of the spawning places are in the Sitgreaves National Forest, within the zone. Sheeps Crossing – Fishing is fair for Apache trout. Lee Valley Lake - A timely survey found a good stock of grayling, 8-9 inch, but no Apache trout. 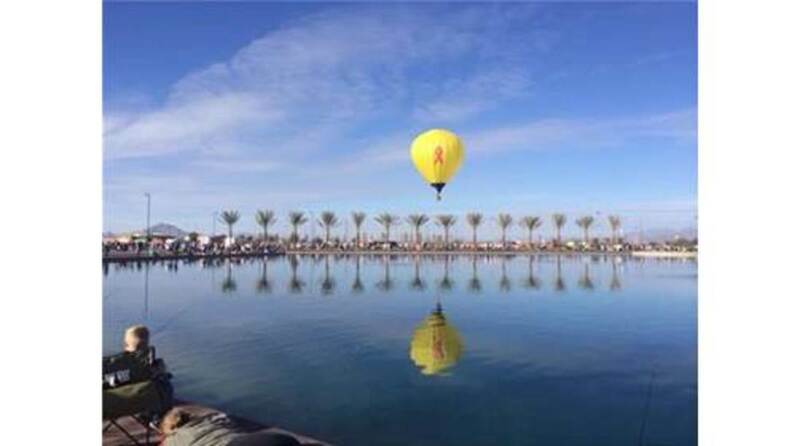 What is your favorite destination in Arizona? I hear you loud and clear. Will try to let you know when I have another hub on wildlife. Thanks for the comment. Being from Arizona also, being a fisherman, and trout being my second favorite fish, this hub was the first to actually anger me. Our state, like many others, is responsible for ruining the natural characteristics fishing has to offer. I don't want to fish from a man-made lake that has catfish raised in Alabama in it. If you have any other info like this about Arizona please share it.